OnFiction: Can Children's Storybooks Teach Morality? Can Children's Storybooks Teach Morality? Although storybooks have long been used to teach moral messages to children, most research suggests that young children do not actually extract the intended meaning of these stories. However, a new paper by Walker and Lombrozo (2017) found that children may be more capable of extracting the moral from a story than previously thought. The researchers conducted two studies to see if children are better able to discern the moral of a story if they are asked questions throughout the reading process. The idea is that children need help directing their attention, so guidance from an adult may help them better comprehend the important aspects of a story. To test this idea, 5 and 6 year-old children were read stories that had a moral. As the story was read, children were either asked to recall surface details (e.g., "was Jocko sad? "), asked to explain an event (e.g., "why was Jocko sad"), or were simply told the lesson (e.g., "Jocko was sad because…"). 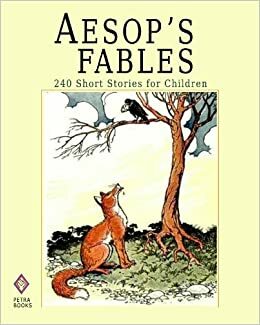 Afterwards, the children were asked what the moral of the story was, and if they could name other stories with similar moral lessons. Children who were asked to explain the events of the story were better able to extract the story's moral. In the second study, the children asked to explain the story were also better able to apply the lessons to a real life example. These two studies suggest that children can extract moral lessons from stories at much earlier ages than previously thought, but that they may need a little help. A key insight is that parents may be able to aid their children by asking questions about the story that direct their attention to important plot points, such as character motivation. Although more research is necessary to understand why these kinds of questions help children, these studies highlight the importance of interactive learning and provide promising evidence that storybooks may be more educational than previously thought. * For a copy of the original article, please contact R. Mar (see profile for e-mail).